Winter 2018 Lifeline Now Available! This issue of the Lifeline will be a nice read as you relax in your favorite arm chair by the fireplace. The Winter issue has lots of information on coming events including Spring Break 2019 and updates on past times. The cover is unique in that the photo refers to the flow of the Great Lakes. The Great Lakes Foundation updates us on how the annual “Bilge Auction” plays a big part in grant accrual and asks that members keep supporting and look for opportunities to allocate donations. The highlight of the issue is the Annual General Membership Meeting article where we learn who has been appointed/re-appointed to our board. Finally, the editor has taken the liberty to post a couple safety-related articles, which you are urged to read! Remember to check out the 2019 Boat Show information on page 8. 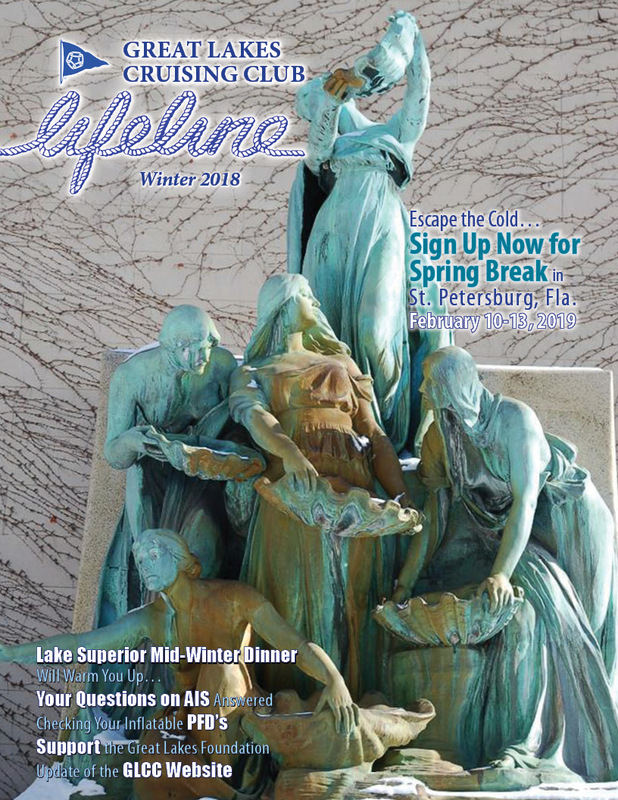 Click here to access the 2018 Winter Lifeline magazine, and here for updates and information on GLCC Events.